Why not join V-Sprint on Strava? Click here for the V-Sprint Strava Club. Join up and see what other member are up to, get ideas for routes, or just track your own performance. 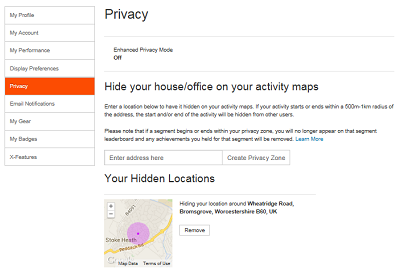 You can link Strava into your iPhone or Android phone, or upload activities from Garmin and other devices. But don’t forget to update your Privacy Settings. Go to settings and click on the ‘Privacy’ tab, enter your home postcode (and any other location you regularly visit). 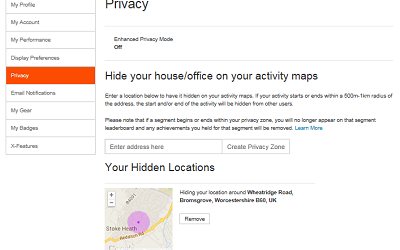 Thieves use applications like Strava to locate expensive bikes, so Strava came up with this neat setting which hides you route when you are within 500 meters of your home, thus the would be thief cannot follow your route back to your house.